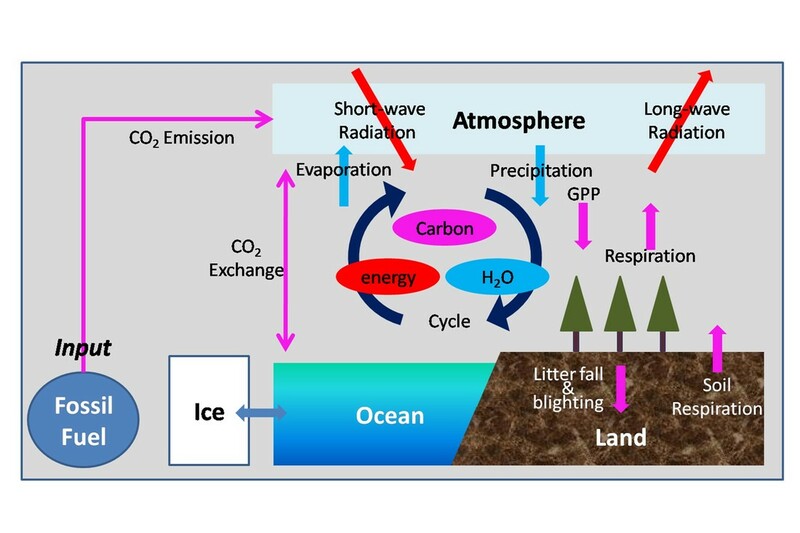 2019/04/16: K. Ichii will visit Department of Atmospheric Sciences, Yousei University, South Korea (Prof. Jinkyu Hong's group) and give a lecture in the department seminar, titled as "Monitoring and modeling of atmosphere-land CO2 exchanges in Asia"
2019/04/13: Our "Remote Sensing Course" (Master and PhD) have a open-lab on 13:00-16:00, May 11, 2019 in CEReS, Chiba University. Please join ! No reservation is required. Mission of our group is "monitoring and modeling of earth system toward better prediction of our future earth. "​ Our approach is to integrate and synthesize of available data and models to understand earth system in more comprehensive ways. Our main target is 'terrestrial biosphere' from regional to global scales. We use network of ground observation (e.g. 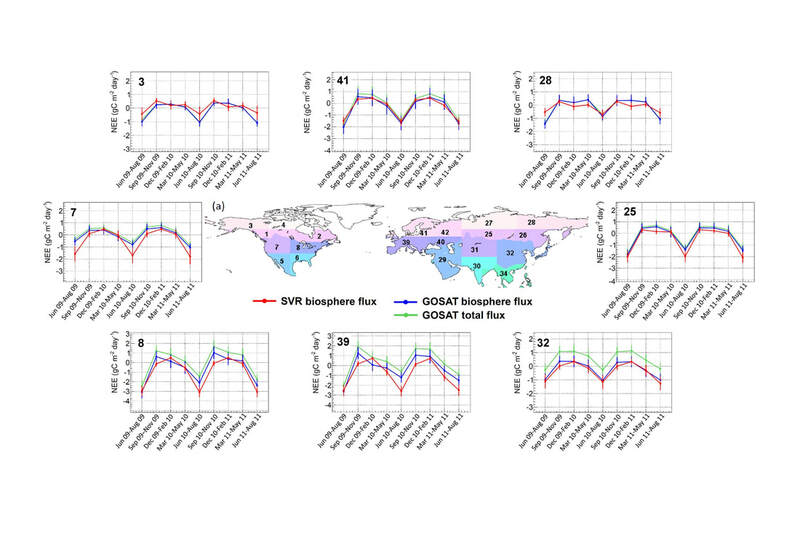 FLUXNET, AsiaFlux), remote sensing data, numerical models (terrestrial ecosystem models), and atmospheric observations. Using bottom-up approach (e.g ecosystem models) and top-down approaches (e.g. atmospheric inversions), we are working on quantification of terrestrial CO2 budget at various scales (e.g. global, southeast Asia, Asia). These works can become a contribution to global projects such as Future Earth. [Kondo et al. 2018 Nature Comm. ; Kondo et al. 2018 GRL; Ichii et al. 2013]. 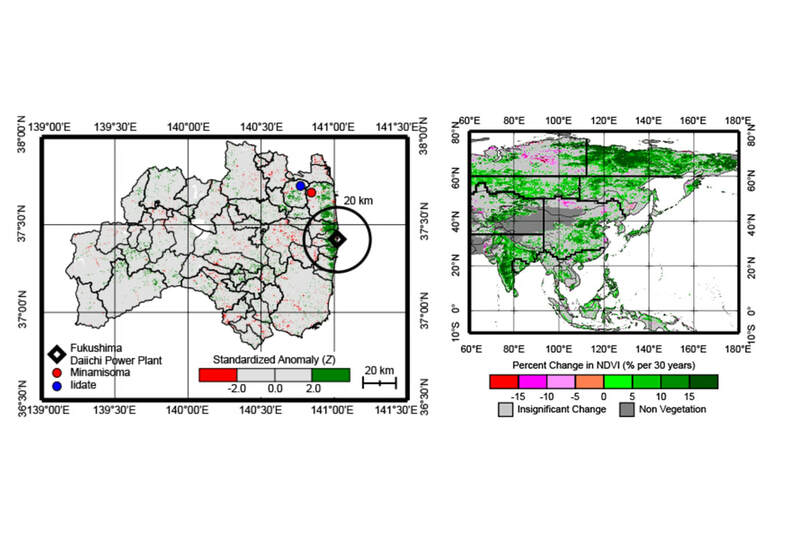 Using FLUXNET/AsiaFlux data, satellite remote sensing data and machine learning technique, we estimate spatial and temporal variation of terrestrial CO2-Energy-H2O fluxes at regional to global scales [Ichii et al. 2017; Kondo et al. 2015; Ueyama et al. 2013; 2014; Saigusa et al. 2010]. 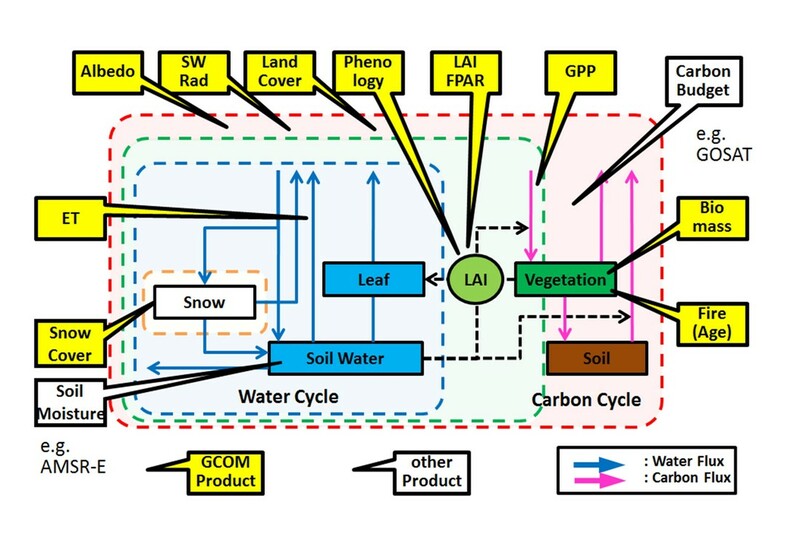 Using a diagnostic terrestrial biosphere model, AsiaFlux/FLUXNET observation network data, our group is developing a terrestrial CO2 flux (GPP, NPP, NEP) product for GCOM-C SGLI sensor (JAXA's satellite). Our product will be an official research products and released to public. Using long-term data of satellite remote sensing, we analyzed and detected vegetation and land cover changes from regional to global scales [Sekizawa et al. 2015; Ichii et al. 2013; Ichii et al. 2002; Kawabata et al. 2001]. By integrating satellite data into terrestrial ecosystem model, we estimated unknown ecosystem parameters and successfully improved models. [Kondo et al. 2017; Ichii et al. 2007, 2009]​. We are working on synthesis of multiple independent estimations of terrestrial CO2 fluxes. 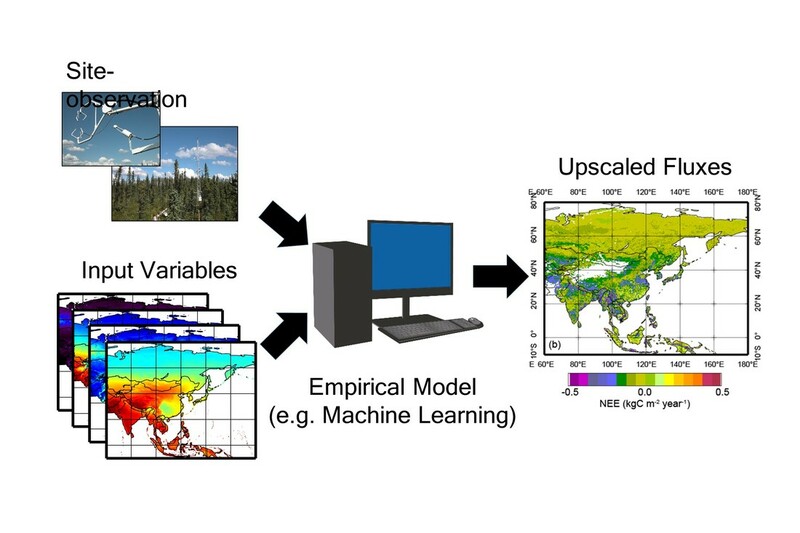 Estimations include top-down approach (atmospheric inversion model) and bottom-up approach (process-based model, data-driven model, satellite products). [Kondo et al. 2015; Ichii et al. 2017]. We demonstrated that future projection of CO2 budget and climate might change if terrestrial carbon cycle model was improved using FLUXNET data. [Suzuki and Ichii, 2010]. Model-data intercomparison in Asia etc. 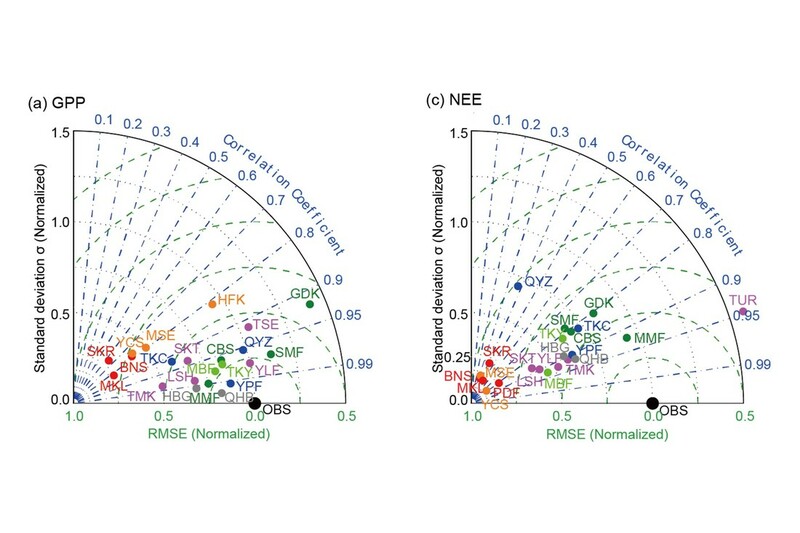 We conducted model-data intercomparison project (Asia-MIP, CarboEastAsia-MIP, and Japan-MIP) to test current model performance using multiple models and observation data [Ichii et al. 2013; Ichii et al. 2010].